What do Shonda Rhimes (“Grey’s Anatomy”, “Scandal”) , David Benioff & D.B. Weiss (“Game of Thrones”) and Lena Waithe (“The Chi”) have in common? …….They are Showunners!! 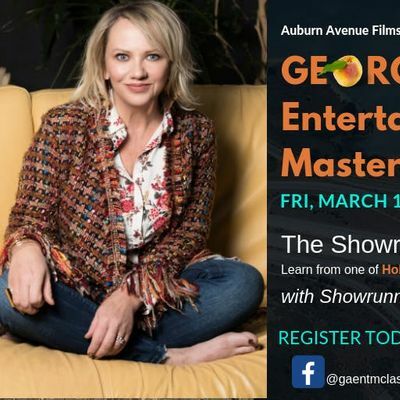 Auburn Avenue Films and CoCo Studios presents the Georgia Entertainment Masterclass Series. 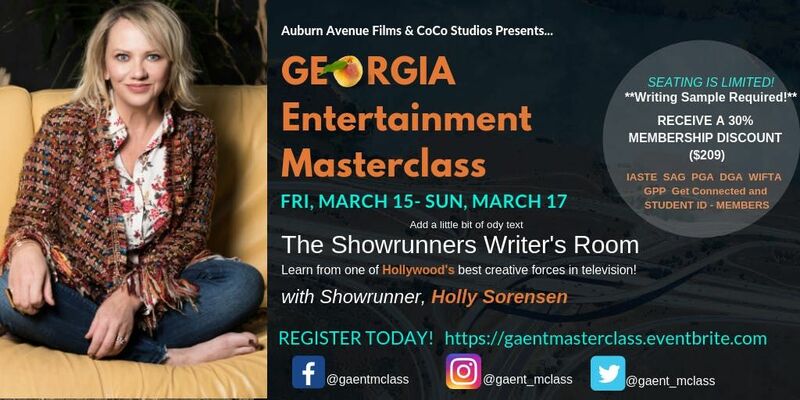 Our first series for March 2019 is The Show Runners Writer's Room w Hollywood Showrunner, Holly Sorensen. ‘ Make it or Break It ‘ – ABC Family ‘ Recovery Road ‘ – Freeform‘ Step Up: High Water ‘ – Youtube Premium Step Up: High Water, a drama series, which is based on the film franchise of the same name, starring Neyo and Naya Rivera, sets its cast in Atlanta at a contemporary performing arts school. It marks YouTube Premiums video service’s first ever big budget original scripted drama and premiered on YouTube Red with 40 million viewers. Season two airs in early 2019.